The French Riviera and Monaco are blessed with the climate, scenery and culture that ensure it remains the destination of choice for so many. 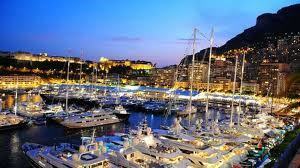 . . Monaco, St Tropez, Cannes, Antibes, Cap Ferrat, Villefranche, . 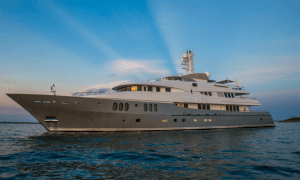 . . all are within two hours of each other by boat and quite rightly conjure up images of the glitz and glamour that is synonymous with the super-yacht capital of the world. The Cote d’Azur shimmers with glamour, rich colors, parties and fun. 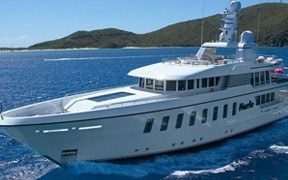 With a breathtakingly beautiful coastline and vibrant social life ashore, chartering an amazing, luxury yacht here really brings the sparkle back into life. 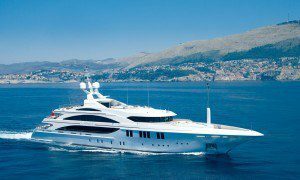 This is designer yachting for the jet set. What do the names Monte Carlo, Cannes, Nice, Cap d’Antibes, Cap Ferrat and St Tropez conjure up? Celebrities – ‘yes, they all come here’. Artists – Cezanne, Picasso, Matisse and Chagalle all lived here. Film stars live here and Cannes Film Festivals is staged here. Formula 1 is raced in Monaco and the sleekest Classic Yacht Regattas draw the crowds here. Steep hillsides give way to sapphire waters and legendary towns. One can see why those with any eye for beauty have long fallen in love with The Riviera. But look beyond the jet-set lifestyle for which this part of the Med is renowned, and the more curious visitor will find a world of secluded beaches and dramatic mountain skylines – many of which are only accessible by – and certainly only truly appreciated – when viewed from the deck of a private yacht. Browze through the Itinerary below and get a drift of the charter moods. This whole coastline is a gastronome’s delight, there are restaurants galore – mouthwatering seafood dishes and wine lists for the connoisseur. Try the Chevre d’Or at Eze and ask us or your captain for ‘insider tips’. Shopping: Fashion Central. ‘To-die-for’ – shoe shops; designer boutiques; handbags and leather; interior décor in Cannes, superlative antiques fairs; French flair. Nightlife: Legendary!!! Nightclubs, Casinos, bars… a great place to get yourself into trouble!! Ask us for recommendations and concierge service. To Visit: Perfumeries in Grasse; St Paul de Vence – the beautiful walled town, world famous for it’s paintings, sculptures and galleries; Be there in May for the Monaco Grand Prix in Monte Carlo – the place to see and be seen; Villefranche – you have to sail into this picturesque little town. Antibes – the biggest mega yacht, super yacht marina of them all. Saint Tropez is still impossibly chic. The port, like a film set, is rimmed with elegantly striking yachts while the café’s facing them are filled with people meeting and chatter. What better place to sit and view ‘le monde’ than looking down from the balcony of the Café de Paris? And what better place to be viewed than sitting on the aft deck of your yacht in the port? With a strong art culture, some ‘must-go’ nightclubs, boules in the square and a castle above, St Trop’ is a heady mix. 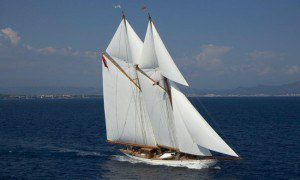 We have specialist links in Monaco, Antibes and St Tropez for organizing private parties, special events and weddings. With so much to enjoy ashore, you may want to balance this with some ‘time out’. Clear bays with shimmering, iridescent water beckon. Swimming, Jetskis and water skis are there for the energetic and lazing in the Jacuzzi is reserved for those who like to ‘observe’. Look forward to an exhilarating sail or power your motor yacht across to the next port, taking in the breathtaking scenery as you go. And… go on… enjoy the envious looks as your elegant yacht pulls into port – everyone wants to know who you are! For real escape, wind down to the unspoiled Porquerolles Islands, for fabulous diving, a touch of salt and sand and the taste of freedom. 60m CMN. 12 guests. 14 crew. South East Asia, Indian Ocean, East & West Mediterranean. From $435,000 pw. 154ft sailing schooner. 10 guests. 13 crew. West Med, Nthn Europe, Caribbean Virgin Islands, Caribbean Leewards & Caribbean Windwards. 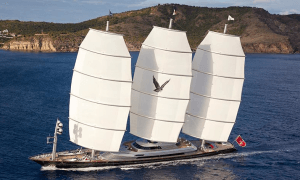 82ft Swan sailing yacht. 7 guests. 4 crew. East & West Mediterranean, Caribbean. From $35,000 pw. 197ft Abeking & Rasmussen. 12 guests. 12 crew. East & West Mediterranean, Caribbean. From $546,000 pw. 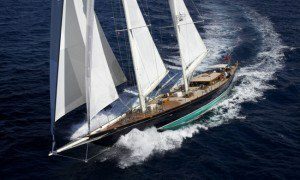 141ft Holland Jachtbouw sailing yacht. 8 guests. 6 crew. West Med. Naples, Sicily, Corsica, Sardinia, Spain, Balearics. 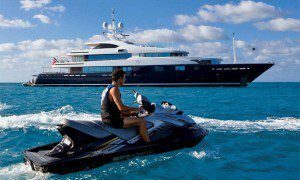 146ft Feadship. 12 guests. 9 crew. East & West Mediterranean. From $225,000 pw. 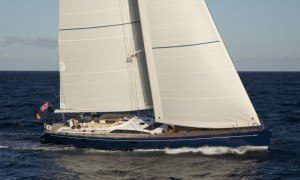 289ft Perini Navi. 12 guests. 19 crew. Caribbean, West Med., South Pacific, East Med.. From $484,000 pw.